We describe a revised collection of the number of sunspot groups from 1610 to the present. 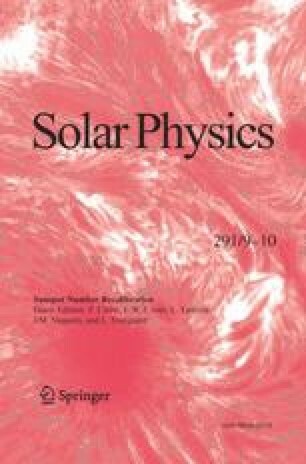 This new collection is based on the work of Hoyt and Schatten (Solar Phys. 179, 189, 1998). The main changes are the elimination of a considerable number of observations during the Maunder Minimum (hereafter, MM) and the inclusion of several long series of observations. Numerous minor changes are also described. Moreover, we have calculated the active-day percentage during the MM from this new collection as a reliable index of the solar activity. Thus, the level of solar activity obtained in this work is greater than the level obtained using the original Hoyt and Schatten data, although it remains compatible with a grand minimum of solar activity. The new collection is available in digital format. J.-G. Richard acknowledges the help of Lorenz Heiligensetzer (head of the Historical Archives at the Library of the University of Basel) for his help in reading the manuscript of Daniel Huber, Vera Enke (Head of the Archives of the Academy of Sciences of Berlin-Brandenburg) for her help in reading the notebooks of J.E. Bode, and Sandrine Marchal (Head of the “Fonds Ancien”) and Josette Alexandre at the library of the Paris Observatory for their help in reading Honoré de Flaugergues’ notebooks. We thank the referee for the helpful comments. The authors have benefited from the participation in the Sunspot Number Workshops. L. Svalgaard thanks the AAVSO for their support in recording the notebooks by Luft. A.J.P. Aparicio thanks the Ministerio de Educación, Cultura y Deporte for the award of a FPU grant. F. Clette and L. Lefèvre would like to acknowledge financial support from the Belgian Solar-Terrestrial Center of Excellence (STCE: www.stce.be ). This work was partly funded by FEDER-Junta de Extremadura (Research Group Grant GR15137) and from the Ministerio de Economía y Competitividad of the Spanish Government (AYA2014-57556-P).